This week, we're showing renters some amazing design, tour a Tudor-style mansion, experiment with paint design, and more. Tune in! Tips of the Trade: Make Your Rental Feel Like Home Interior Designer Lyndall Hobbs gives us some creative tips on how to make your rental feel like a home. Watch the video. Come inside this luxurious mansion in the suburbs of Chicago. Watch the video. Interior designer Lee Najman shows us around a creative design project that includes a neon-lit waterfall. Watch the video. We take you behind the doors of this Tudor-style home that overlooks the legendary Wilshire Country Club. Watch the video above. Sonu Mathew uses paint and design tricks to make a big difference in just one day. Watch the video. This episode of Open House was hosted from Soho, New York. Please contact Mara Flash Blum of Sotheby's International Realty at 212-431-2447. View the listing. 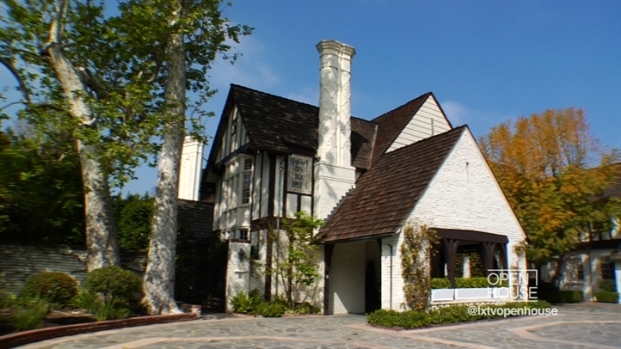 We take you behind the doors of this Tudor-style home that overlooks the legendary Wilshire Country Club. For more information on this property, please contact Naomi Hartman and Leah Brenner of Coldwell Banker at 323-860-4259 and 323-860-4245. View the listing.